In May 2018 after many great years with another hosting company we switched our websites across to Cloudways. Our old dedicated server provider was good, however, Cloudways is really GREAT. Service – Whilst other providers claim to be heroic, Cloudways is NEXT level responsive! Reputation – Several members of our SuperFastBusiness membership (some of them are highly tech savvy) were raving about Cloudways. Whether you manage your web apps yourself or rely on a webmaster, anything that will make the task easier is something to be appreciated. Cloudways offers ease of use and helpful features that are sure to make web app creation and management a cinch. There was a time when you had to be involved in all background aspects of your web app, and the various applications that handled them – security, structure, performance optimization, system administration, server configuration. With Cloudways it’s you interacting with a single platform, producing the live website you’ve envisioned. 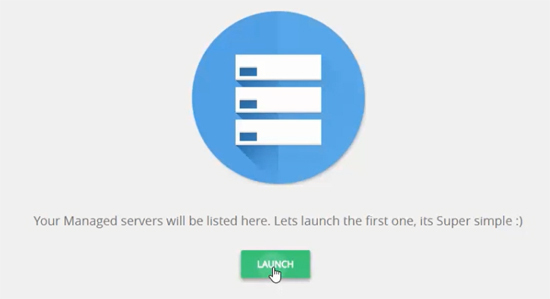 Just one of the beauties of Cloudways is that it’s easy to set up a server from scratch. Even without a lot of technical knowledge, you can set up a server simply by choosing one from a list with some basic specs. If you are starting a WordPress website from scratch, all you have to do is state which server you want (in case you have many servers), choose a name for your WordPress website (so that you can tell it apart from other sites in your account) and specify which project folder it belongs to. It takes approximately three minutes to have WordPress installed (theme installations and customization not included). If you change your mind about your chosen server, you can easily delete that server and start over on another one. 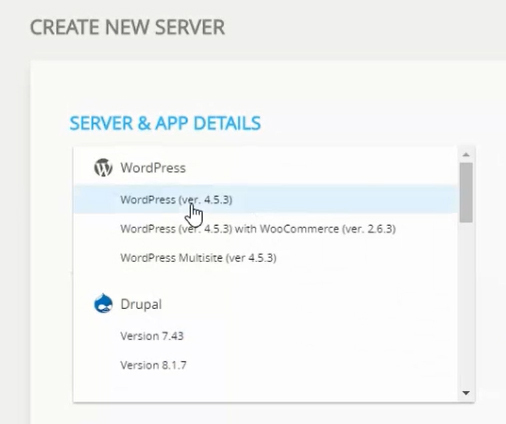 You can also easily migrate all the contents of your current server to another server that’s also on Cloudways. The interface (although confusing at first for people who are used to using WHM and Cpanels) is very simplified. Many options that you see within WHM, that you really don’t need, aren’t there. There is no clutter. Projects are simply folders of sites, letting you group together similar types of websites, e.g., websites with inboxes. 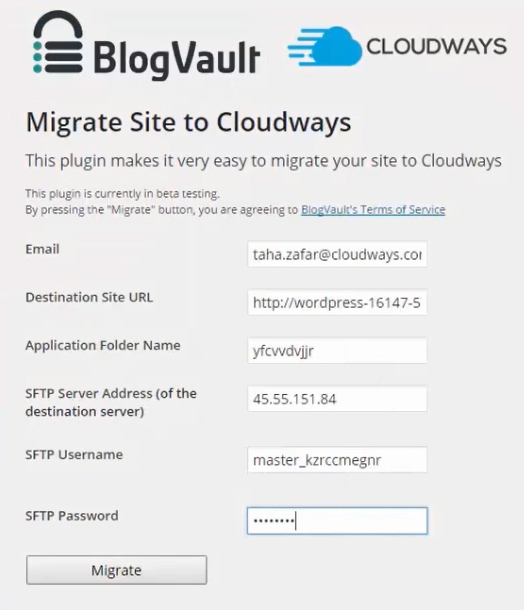 Migrating a WordPress website from your current host to Cloudways is also much easier than other migration plugins. All you have to do is install the migration plugin, input the access details, and wait for it to finish. 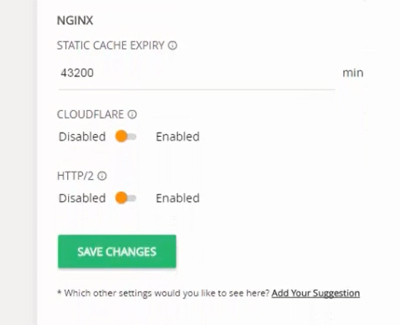 When it’s done, you’ll see the copied site in staging mode, thus allowing you to inspect it before you switch the DNS to Cloudways. Cloudways makes it easy to upgrade your server specs. All you have to do is use a slider. Move it to the right, and voila, you’ve upgraded your server to the next available plan. It is also easy to downgrade your server. It just involves an extra step: cloning your current server into the downgraded one, which is just about the same as migrating to another server. Even for the non-techy, launching a new server in Cloudways is super easy. Select your desired application, i.e., WordPress. Name your application and server, then select your project. This will help you organize your servers and apps smartly. Then click the Launch button. In a few minutes, your server will be ready. Cloudways employs an easy-to-use plugin to facilitate transfer of sites. Enter details from the Cloudways console. Click the migrate button and your migration will start. Once the migration is complete, go to the Cloudways console and click the Application console to check if you have successfully migrated your website. 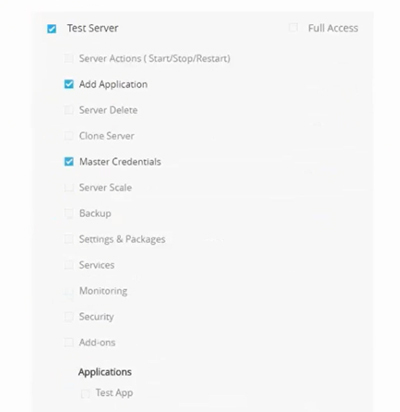 Complete server control is yours with Cloudways. 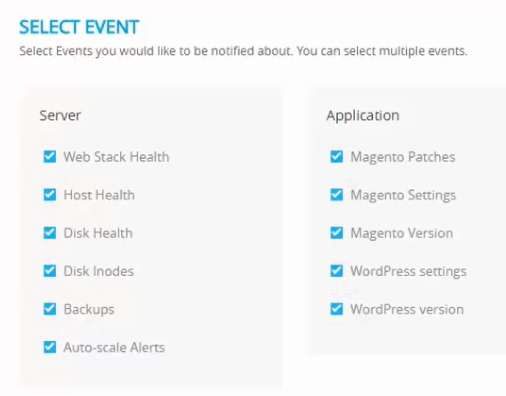 To access your server management settings, click on your server. Under Master Credentials you can view the credential details for SSH and SFTP access. 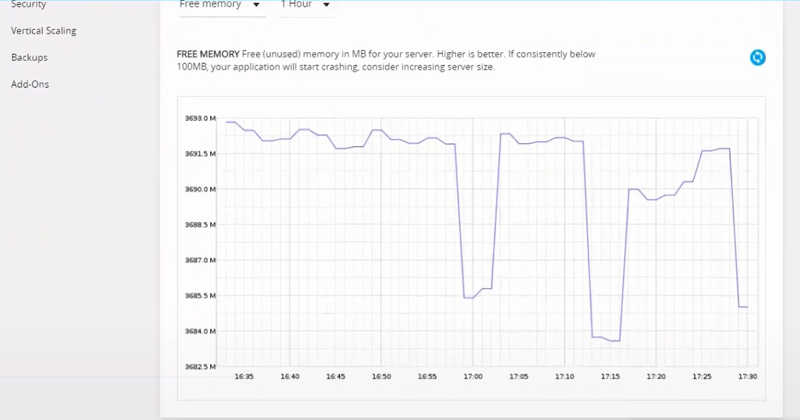 Monitoring lets you view performance graphs on the various aspects of your server. Just one of these aspects is the free memory of your server. 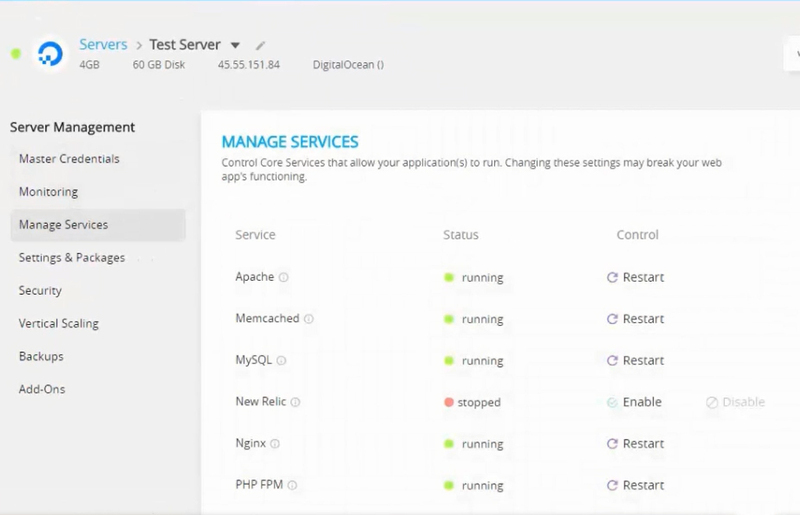 Under the Manage Services tab, you can reboot the essential elements of Thunderstack, touted by Cloudways as the fastest hosting stack ever. You can, for example, reboot Apache in just a few seconds with a click. 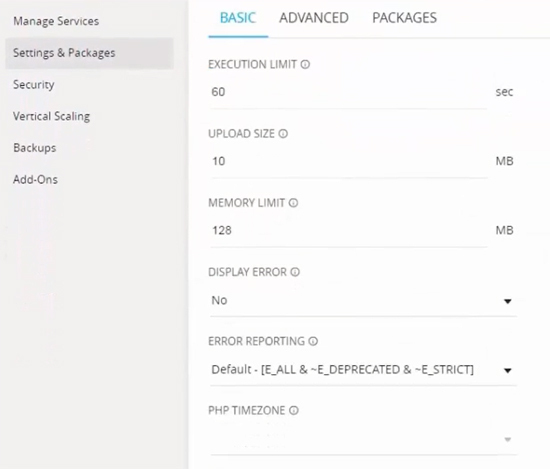 The Settings and Packages tab allows you to alter basic and advanced server settings. You might, for instance, want to deploy HTTP/2 on your WordPress website. You need simply to enable it in Advanced settings and revisit your website for confirmation. Need to increase server resources for an expected rush of visitors? Easily done via the Vertical Scaling tab. Managing your apps is just as easy as managing your server. 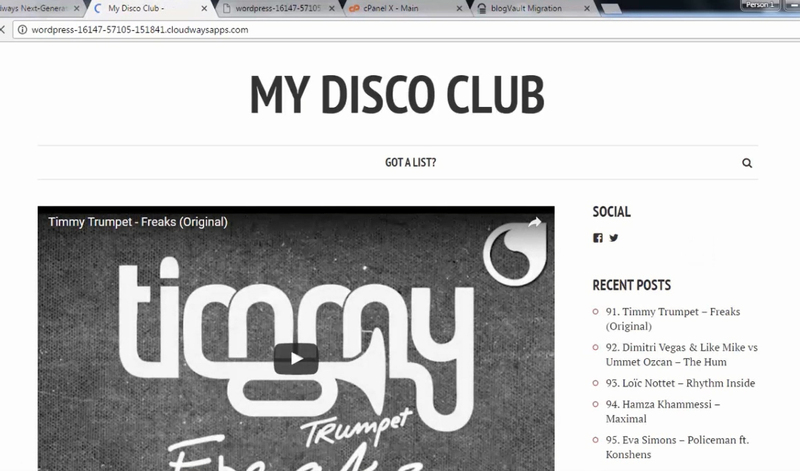 Under Domain Management, for example, you can map a domain to your WordPress site in seconds. 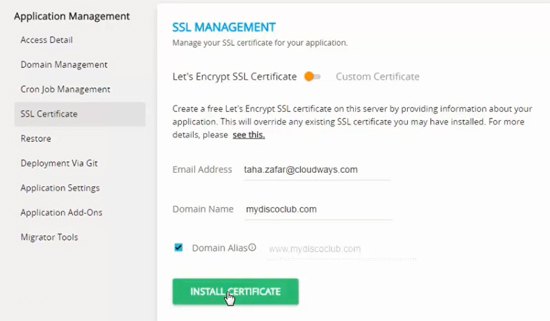 SSL certificates powered by Let’s Encrypt are free with Cloudways and can be enabled via the SSL Certificate tab. Deployment via Git is also simple. 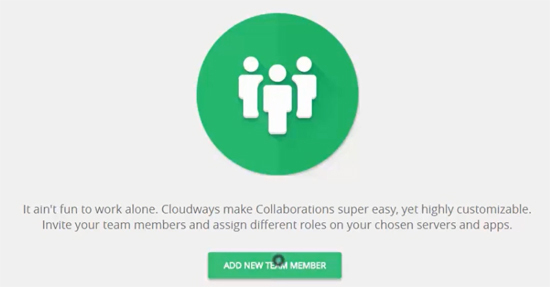 Cloudways lets you easily add members to your team and give them as much or as little access to the system as you desire. 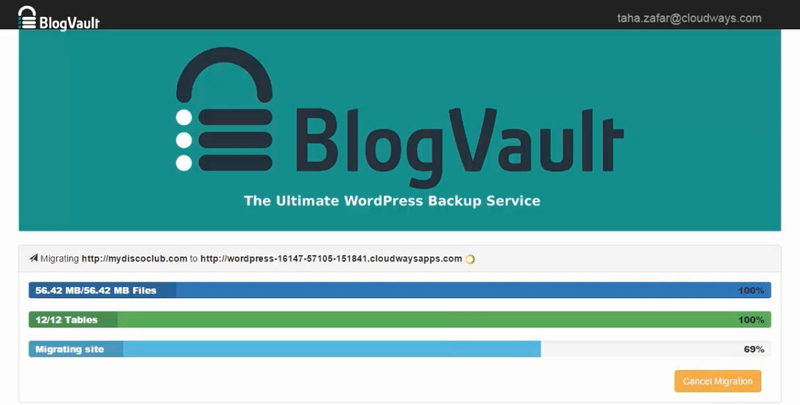 Testing a new plugin and don’t want the risk of your website going down? 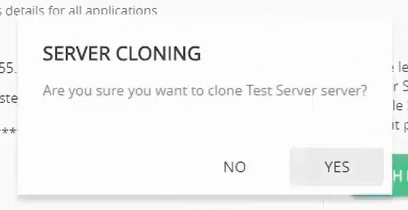 Cloudways lets you create as many test environments as you need by cloning your server. When cloning is done, you now have a cloned server with which to test your plugin to your heart’s content. CloudwaysBot is your smart assistant that gives you real-time performance and security insights for your website. Forget to install an update? CloudwaysBot will remind you. Remove something you shouldn’t have? CloudwaysBot will fix it. 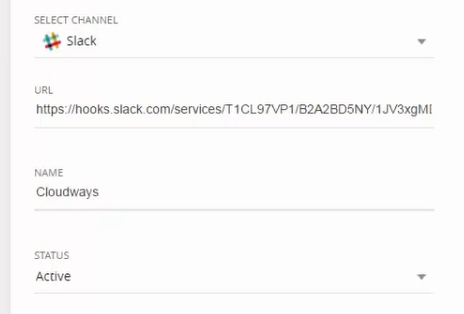 Moreover, CloudwaysBot can notify you of your app’s and server’s performance via your favorite channel, be it Slack, HipChat, email or one of many others. Adding a channel is as easy as a few clicks. and select the events you would like to be notified of. Click Save and Test Channel, and you’re done. Reliable and hassle-free service that lets you focus more on your business and less on technical details. Speed and convenience, a pay-as-you-go arrangement, and the freedom to choose the combination of elements that works best for you. 24/7 expert support that never leaves you in the lurch. All Cloudways plans come with 24/7 support, let you pay as you go (pay only for the resources you consume), give you your first migration free, and let you build unlimited applications. Monthly and hourly cloud hosting plans depend on the cloud provider and the specs you choose. You want hosting that won’t take time and attention away from running your business. You want to manage your hosting but don’t have a lot of technical know-how. You’re looking for cloud hosting that is both user and wallet-friendly. You want an easily customizable and scalable hosting solution. You want fast, reliable, secure, and technologically up-to-date hosting. 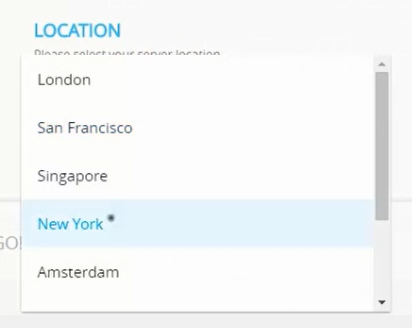 Ready to host with Cloudways? Click HERE.